Latest Bushnell Tour V4 Shift Review: Does it Live up to the Hype? 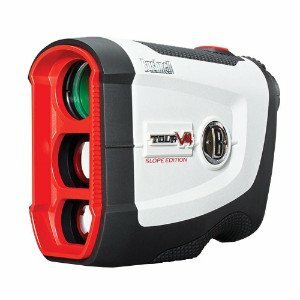 If you’ve always loved Bushnell rangefinders such as the now discontinued Tour Z6, then you’re definitely going to love their top of the line Tour V4 Shift unit! It’s the best of the best of the Tour V4 series that’s new and improved to be better than ever. So, what’s so new about it? The Tour V4 was only available in either slope and non-slope models. Now, it’s available with both measuring systems in one unit. You don’t have to deal with face plate changing or worrying about being tournament legal. The Slope-Switch Technology eliminates all those worries with just a flip of a switch. It’s just as compact in size as its Tour V4 sibling, but it’s a whole ounce lighter. This mightn’t mean much for most golfers, but when you’re playing round after round under a beating-down sun, all weight matters – or lack of! You’ll always know you have the right distance without the guesswork because of Pin Seeker with JOLT technology. You’ve got positive pulses that lets you know you’ve hit your target. Got an unwanted case of the shakes? Don’t worry! The Stable-Grip technology eliminates all errors stemming from an unsteady hand. With a generous 21 mm of eye relief, all glasses-wearers will have plenty of room to keep their specs on. If you wear sunglasses, don’t bother with removing them just to see the LCD screen. You’ll be set to go with a Bushnell on your side! 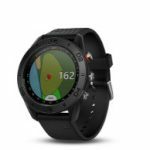 Is the Tour V4 Shift Waterproof? Unfortunately, no. None of the Tour V4 Series rangefinders are waterproof. They’re all rain-resistant. It can withstand some rain except if it’s a downpour. Can the V4 fit in your Hand Comfortably? The Tour V4 Shift fits in the palm of your hand. It’s smaller than its older V3 cousins with its 3.11 x 1.57 x 4 inches and 5.6 ounce weight. When does the JOLT feature kick in? You will feel the pulsating vibrations of the JOLT feature when you’ve locked onto the flag. Can you Range to Targets beyond the green, hazards, and the like? You can. The V4 has a max ranging distance of 1000 yards, and it can range out to any target within this distance. However, you won’t get the JOLT feature for various targets other than the flag. 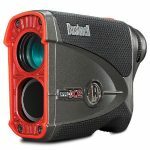 Does the Bushnell Tour V4 Shift have the option of an LED Display? Unfortunately, no. This model only features the LCD with black display. The Dual Display Technology is available on the Pro X. It can also be found on many of the models here. What is the Tour V4 Shift Patriot Pack? The Patriot Pack is the name of the accessories package that comes with the Tour V4 Shift purchase. You get a red silicone protective skin, included CR2 battery, premium case with belt loop, and a 2-year warranty. How Accurate is the Bushnell Rangefinder? The Tour V4 Shift is accurate to within, give or take, one yard. How Clear and Bright are the Images? The lens have multi-coated lens for clear images. It also has a 4.8 mm exit pupil which is plenty big enough for daytime use for brightness. To ping up the strokes, the Bushnell Tour V4 Shift offers you a taste of both slope and non-slope worlds in one device. The price is fair for its capabilities and added features. However, if something with a little more steroids is more your style, the Bushnell Pro X2 is worth the price. It’s got a ranging distance of 1300 yards, 450 to the flag, and is accurate to within .5 of yard. It’s got a metal housing, is completely waterproof, and it even has the Dual Display Technology. For some of Bushnell’s ESP technology, it has the best. It’ll definitely satisfy your gadget greed! Outside of Bushnell, the Leupold GX-4i2 also offers both slope and non-slope technology. However, you are paying more for the face plate system and all that comes with it. It also has OLED display, Fog Mode, and three different reticles to use. It’s pretty fancy, but you’re also getting the added weight that’s expected. But, the Tour V4 Shift happens to have the best price tag for its performance and abilities. You don’t need to spend hundreds more for the same features that you can get with this Shift. It’s a shift hot deal for a shift hot device!